Throughout history, civilizations have lived and died by their proximity to water. The Mediterranean Sea. The Nile River. The Red Sea. The Sea of Galilee. The Jordan River. The Dead Sea. This is just a small list of the bodies of water that is mentioned in the Bible. When I traveled to Israel and Jordan in 2010, I was very interested in seeing many of these bodies of water. However, I was not altogether thrilled with what I saw. The water flowing through the Banias River in Caesarea Philippi was beautiful. Having recently tumbled down from the heights of Mount Hermon, it was crystal clear and sounded refreshing as it jumped and skipped over rocks and small waterfalls. 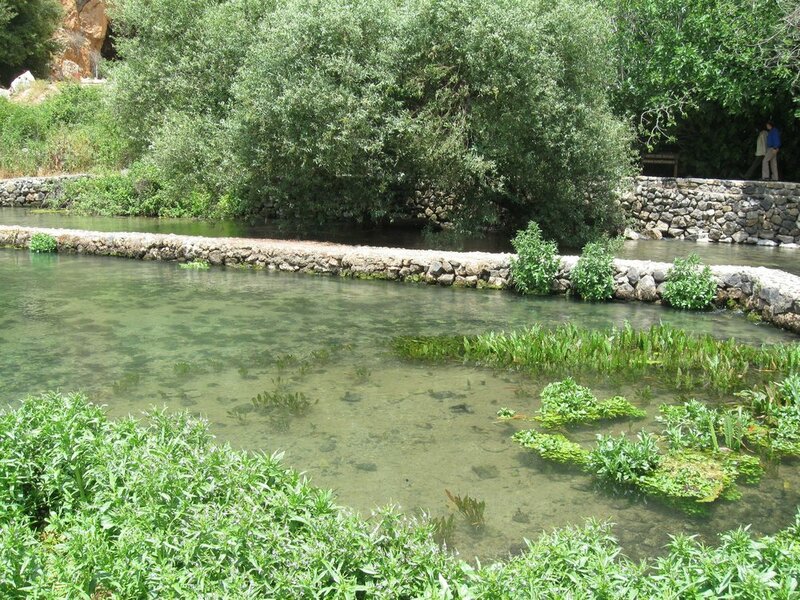 The Banias is one of several streams that feed into the Jordan River north of the Sea of Galilee. The Sea of Galilee is a wonderful lake that is surrounded by hills on all sides. However, its surface elevation is very erratic and fluctuates up and down based on the amount of rain the area receives. At 211 meters below sea level, the Jordan River leaves the Sea of Galilee and meanders down to 423 meters below sea level at the Dead Sea. 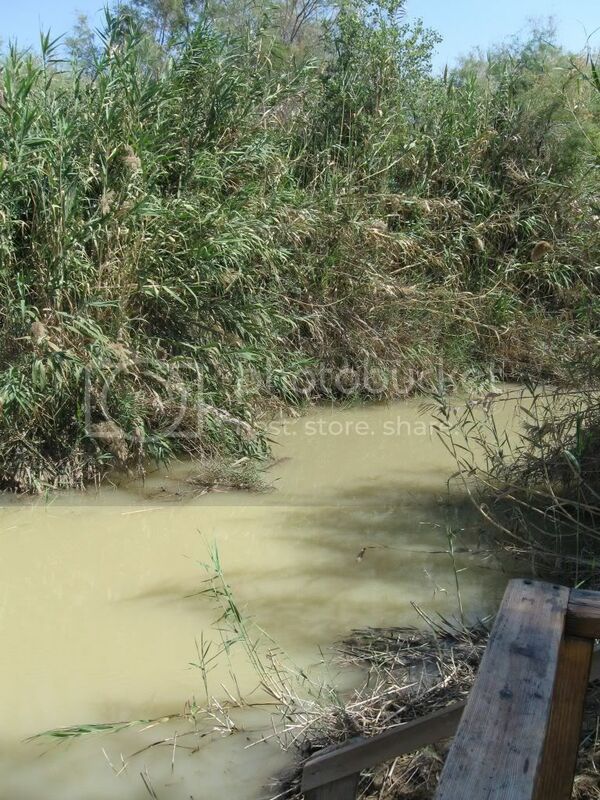 Along the way, the Jordan River transforms from a flowing river about 15 meters wide to a 2 meter wide sludge that creeps along by the time it gets to Qasr el-Yahud (picture at right), the traditional site of Jesus' baptism. Consequently, very little water is getting to the Dead Sea and is currently evaporating at a rate of one meter per year. What's happening? Well, much of the water is being redirected from streams and tributaries leading to the Jordan River. It is being redirected mostly for domestic purposes (drinking water, crop irrigation, etc). While the reasons are legitimate, the shortage of water is having a profound impact to the area. Luckily, people over there recognize the problem and are making changes to help. Through water recycling and conservation, Israel is preparing to add more water to the ecosystem. If they can continue this, and if the countries of Jordan and Syria can also get involved, this will help the situation tremendously. If you are interested in keeping up daily with the water level on the Sea of Galilee, you might want to follow the Kinbot Twitter account.